Here’s your weather forecast for Denver this summer, it will be Frozen as in Disney’s Frozen. Mile High city residents will have the first chance to see one of the most highly anticipated musicals in recent theatre history. The stage is set for the pre-Broadway engagement of Disney Theatrical Productions latest venture based on Disney’s 2013 Academy Award-winning film. And if past pre-Broadway sales for a Disney extravaganza are any indication, when the box office opens on May 1st, tickets are expected to sell faster than Elsa can fire a bolt of ice magic. 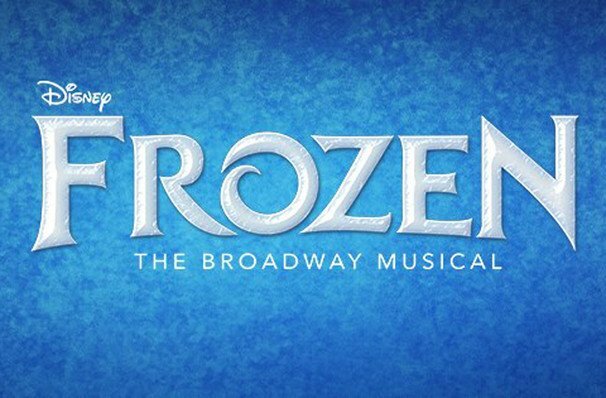 From a Tony, Emmy, Grammy and Oscar-winning creative team, Frozen will play its out-of-town tryout at the Buell Theatre in the Denver Center for the Performing Arts from August 17th through October 1st before it heads to the Big Apple. The musical is a full-length stage production told in two acts and is the first and only incarnation of the tale that expands upon and deepens the plot and themes of the animated feature through new songs and story material from the film’s creators. According to the website for the DCPA, the story features “the beloved tale of two sisters torn apart and their journey to find themselves and their way back to each other.” Single tickets for the pre-Broadway engagement start at $25. In January 2014, Disney CEO Bob Iger announced that a Broadway stage adaptation of the hit animated movie was in early development. The Broadway premiere of the musical is set for spring 2018 at the St. James Theatre and will join The Lion King and Aladdin on Broadway. Working behind the scenes is a trio of Oscar winners responsible for the original musical. Frozen features the music and lyrics by the creators of the film score Kristen Anderson-Lopez and her husband Robert Lopez and a book by Jennifer Lee, the movie’s screenwriter and director. Tony Award winner Michael Grandage is at the helm as director while another Tony winner, Rob Ashford is choreographer. Rounding out the production team is scenic and costume design by Tony winner Christopher Oram, lighting design by six-time Tony Award winner Natasha Katz and sound design by Tony nominee Peter Hylenski. Disney is no stranger in staging pre-Broadway runs in theatres across the country. In 1997, The Lion King was work-shopped at the Orpheum Theatre in Minneapolis, The Little Mermaid at the Ellie Caulkins Opera House in Denver in 2007 and in 2004, Mary Poppins had its debut at the Bristol Hippodrome in England. Newsies had its tryout in 2011 at the Paper Mill Playhouse in New Jersey. 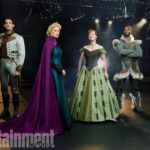 Like the Disney Theatrical Broadway musicals that have come before it, Frozen is being touted as a full evening of theatre and the production is expected to run two and a half hours with an intermission. Casting for the pre-Broadway run has not been announced and there is no exact date when Disney Theatrical Productions will take the show to New York City. 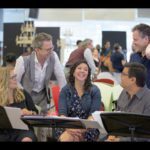 Those interested in keeping up to date on developments on FROZEN the musical can go to FrozentheMusical.com.